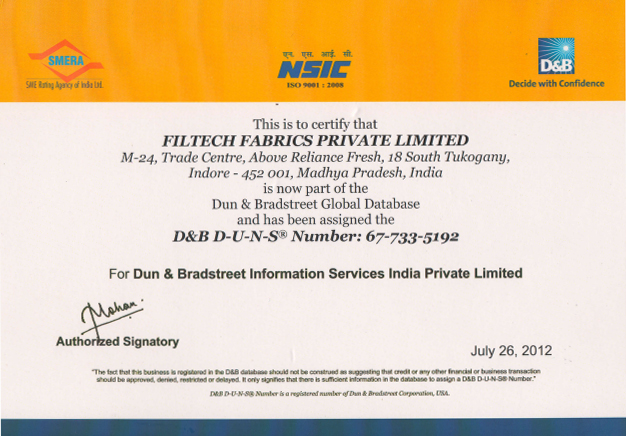 Filtech Fabrics is producing a broad variety of Sparkler Filter Paper or Fabric Pads and in a very complicated production plant. We are the best sparkler filter supplier in India. The whole procedure of production is not touched by hand from the pulping phase to the end product on high accuracy totally regular plant, which makes sure a consistently developed filter medium for outstanding purity and free from outer pollutants. Our raw substance is incessantly checked for quality management. Continuous laboratory checks are done to verify Pad’s porosity, Filtration effectiveness, Filtration Speed, Absorbency and Bursting factor. 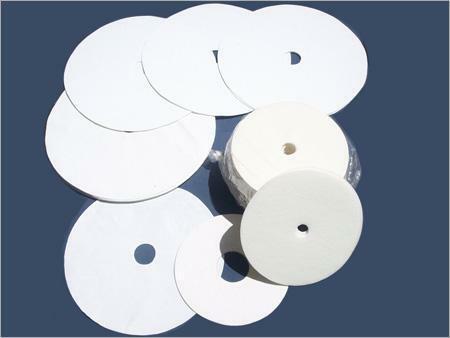 The threads of our Sparkler Filter Paper or Fabric Pads are also focused on a special absorbent chemically inactive wet-potency impregnation procedure, to pass on very high reflexive potency when filtering aqueous substance. 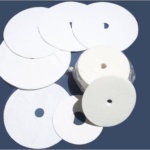 We also produce handmade filter pads, according to customer’s need. The Sparkler Filter is a radical design that underlines efficiency, simplicity, financial system, and least maintenance. This filter attributes a structural steel overhead perched trolley design. The cover is everlastingly increased to the ending frame whereas the tank is balanced as of the overhead. All piping is housed in the cover making it redundant to shatter any connections. The tank is simply retracted through a hydraulic cylinder, letting open access to all of the filter components. Filter plates stay immobile, mounted or seated in an assorted way that is linked with cover, as tank is taken back creating no cake trouble during unlocking. The filter design simply lends itself to complete mechanization. Cake elimination can be through Dry Cake Discharge, Wet Cake Discharge or manual. If higher cake capacity is needed, the center to center aloofness of the filter plates can be enhanced. If filter region is of bigger unease than cake capacity, the center to center filter plate aloofness can be decreased. Partition by filter pads is employed to tear elements and liquid in a suspension, where the fluid maybe liquid, gas or critical solution. Depending on the usefulness, either one or both of the attributes might be isolated. Filtration, by filter pads like a physical procedure is very significant in chemistry for the taking out components of diverse chemical formation. A solvent is selected which sends away single component, whereas not dissolving the additional. Via dissolving the amalgamation in the chosen solvent, one part will go into the artifact and overlooked the Sparkler filter offered by the best sparkler filter trader, whereas the other will be kept. This is amongst the much necessary techniques used by chemists to distil compounds. 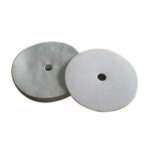 Cleansing by filter pads employing the well-known filter paper pad manufacturer is also significant and widely used as amongst the unit tasks of chemical manufacturing. It may be concomitantly merged with different unit processes to operate the feed brook, like in the bio filter, which is a joined sparkler filter and organic digestion tool. Division by filter pads differs from strainer, where separation increases at a sole pricking layer. In sieving, attributes that are very large to go through the holes of the strainer are sustained.